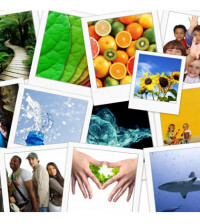 123RF.com provider of stock photos and royalty-free assets today announced the launch of GeoRank, a new feature that enables users to find relevant images, footage, illustrations and logos that have been uploaded closest to a user’s geographical location. Stephanie Sitt, CEO of 123RF.com says, Microstock content, whilst sold internationally has always been inherently local in nature. GeoRank represents the next evolution of search allowing our users to find more relevant content faster and easier than ever before. GeoRank works by matching a user’s keyword searches to submissions uploaded by contributors from the same or neighboring countries. This provides users with the ability to locate local specific fashion, festivals, models, scenery, and food-related images amongst many others as well as craft a more effective creative campaign. 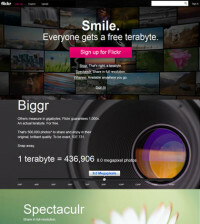 This service comes in a form of a search tab for images, footage and illustrations. GeoRank is currently enabled in the US, Hong Kong, Taiwan, Malaysia, Singapore, Australia, New Zealand, Philippines, Indonesia and India. Founded in 2005, 123RF.com is a royalty-free microstock library that offers more than 19 million high-quality royalty-free content comprising stock photos, illustrations, logos, footage, and audio files at the lowest prices. 123RF.com also offers 24-hour service, 7 days a week. For more information, visit 123RF.com.